The mission statement of the Business Office is to provide financial and support services of the highest level while utilizing our resources most efficiently to support an excellent education for all students. We hope that the information/links provided below will be informative and beneficial to you. If you feel any additional information would be useful please email us with your suggestions at tish.holleman@parisisd.net. 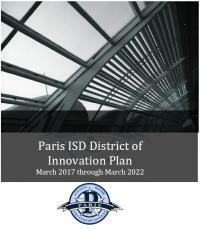 To complete the Paris ISD Vendor Form please click here. The Paris Independent School District has contracted with the Lamar County Appraisal District to assess and collect its property taxes. This process involves determining the value of all property, sending out tax statements, and collecting tax revenue. Any questions related to value, taxability, billing, collection, property ownership, or other property tax issues should be directed to the Lamar County Appraisal District. The phone number for the Appraisal District is 903-785-7822, and the office is located at 521 Bonham Street, Paris, TX 75460. Questions on these issues may be directed to Business Manager, Tish Holleman, at 903-737-7473.